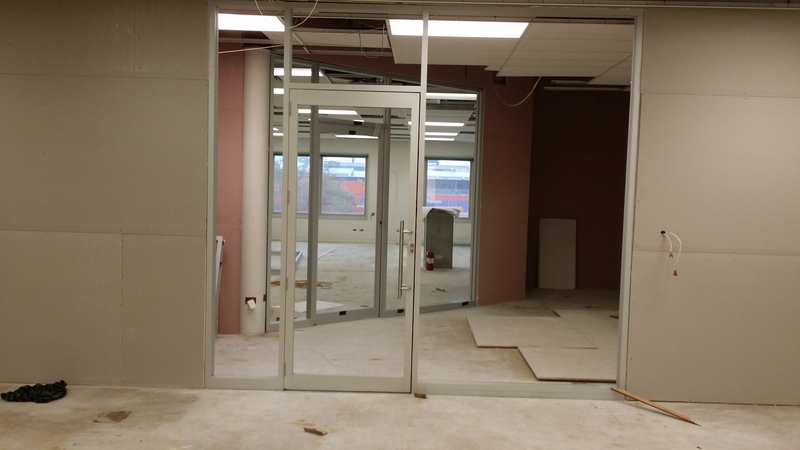 Here is some photos of the office partitions we have set up this morning. Located in the CBD on a third floor of a building. Glazing will be clear laminate; 6 and 10.38 thickness. No one is looking forward to lifting the glass up 3 stories. Clear Anodise Commertcial aluminium framing. This is for office partitions on a 3rd floor of a building in the adelaide CBD. Ready for glazing. Clear Anodise commercial framing with hinged door and stainless steel handle. Egress lock with cylinder on outside. We are making 4 of these frames to make 4 rooms.